A new EU regulation came into effect on 25th May 2018 that impacts how all organisations collect, hold and process people’s personal data. The General Data Protection Regulation (GDPR) became law on 25th May 2018 and will introduce new responsibilities that supersede the existing Data Protection Act. This will impact how all organisations collect, hold and process people’s personal data. Very simply, EU residents, irrespective of any Brexit implication will now have greater say over what, how, why, where, and when their personal data is used, processed, or disposed of. This rule clarifies how the EU personal data laws apply even beyond the borders of the EU. Any organisation that works with EU residents’ personal data in any manner, irrespective of location, has obligations to protect the data. As we approach GDPR, Omniphi Systems is focused on its GDPR compliance responsibilities. During our implementation period, we have evaluated the new requirements and restrictions that will be imposed by GDPR and we have taken action necessary to ensure that we deal with all data in compliance with the applicable law. · To ensure our own compliance as a company that might processes people’s personal data. · To ensure our partners and suppliers adhere to the highest standards of compliance and GDPR regulation. · To ensure that our programs, software applications and service solutions all support our customers’ GDPR compliance efforts. Omniphi Systems Limited have undertaken a full review of all internal security and privacy policies to ensure that any personal data within, or passing through the company, will be handled in accordance with GDPR regulations. We will implement the relevant tools and practises to ensure the safeguarding of any data handled by Omniphi Systems Limited and all of its employees. Employees will be made aware of all GDPR restrictions, with the relevant training provided as necessary. 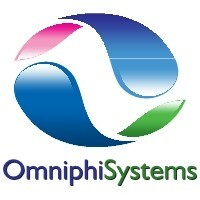 Omniphi Systems will not hold any client data. Omniphi Systems Limited provide software for the administration of pension schemes and to assist with the routines associated with this. In order to administer and scheme it is necessary for personal data to collected and stored. As such it is imperative that what we provide aids and support our customers in their efforts for GDPR compliance. Our goal is to provide our customers with software that makes the administration of pension schemes and the personal data associated with as straightforward as possible. We are committed to providing the necessary facilities so our customers are able to respond to requests for deletion, rectification and anonymization of data as well as, ‘The right to be forgotten’, where applicable.